Posted on February 24, 2017 by Tom Manoff	in Interview and tagged featured-slider, home-left, sidebar-left. Shai Wosner – One of the most talented and promising pianists of our time. MANOFF: One of things I especially like in your playing is the sense of form. A metaphor for my response is that you are unlocking form as one would a puzzle, each of its parts — motive, harmony, section — intertwined beyond separate definition. I wonder how you come to an interpretation of form. And does your sense of form change suddenly in performance in unexpected ways ? WOSNER:I think that harmony is generally the single most trustworthy guide for interpreting tonal music. Since the form in tonal music is inseparably tied to the harmonic structure of each piece, following the harmonic progression can really tell you a lot about ‘where the piece is going’, because that would determine other elements, such as rhythm and melody. In other words, I personally try to look for ways to, so to speak, let the piece tell me what to do. Usually, with a great piece, the inner workings of the music are all in sync with the markings that the composer put in (such as the placement of a crescendo or a ritardando), and so, guided by the harmonic rhythm of the piece and the markings that punctuate it, you try to internalize the structure of the music and become as comfortable with it as you can. Of course, it’s easier said than done, but it can have great rewards because the more you are comfortable with the structure of the piece, the more it ‘becomes a part of you’, the more you are free to explore various interpretative ideas. In a funny way, many times it tells you what NOT to do, that might interrupt the structural flow of the music, or highlight something that’s perhaps not as significant as something else. The combination of harmonic events such as modulations with the markings of the composer help you to determine what’s most important in the music and what’s less important. And in great music, that applies to all levels of the piece, whether in a short phrase of a Haydn sonata, or in a large structure of a 30-minute Mahler movement. In other words, it’s like a physical place that has its own fixed attributes, such as turns and slopes, and your job is to show how interesting and unique the place is. The way you experience a piece of music shouldn’t always be the same, but can change based on the nature of the instrument at hand, or the acoustics of the hall, etc. just like the way you experience a certain place can change depending on weather or mode of transportation, for example. Ideally, you try to have a clear grasp of the form of the piece that would allow you play with it at the spur of the moment, and still keep it intelligible. I often feel that what makes a lot of the great pieces really great, is the sense of inevitability between one idea and the next. As if it simply had to be this way. In a way, you try to attain that ideal when playing them, too – to make each turn of phrase come out of the previous one in a way that would seem inevitable, as if you are composing it at that very moment. MANOFF: How does the legacy of recorded performances affect your interpretations, if at all ? WOSNER: I used to listen to a lot of music when I was growing up, and do less now, although not necessarily by choice. I listened to a lot of non-piano music, especially opera and symphonic repertoire. But I feel that I’ve learned a lot from recordings of great pianists. Of course, when you listen to a recording that you love over and over again, it is likely to influence the way you would play the same piece. That’s not always a bad thing, not unlike the way painters used to copy paintings by others in order to become better at a certain theme or technique. I think that if your reasons to play a certain piece in a certain way come from the score and not just the record, as long as the performance is convincing and inspired, it shouldn’t matter so much if it resembles certain aspects of another performance. MANOFF: You have a very refined and sturdy sense of counterpoint within harmonic structure. While I assume a good deal of that is part of your talent, I wonder how much you studied counterpoint or possible figured bass and fugue as a student. And what can you recommend to aspiring artists along these matters ? WOSNER: Thanks for the compliment! I think I have a very long way to go in the study of counterpoint and fugues in particular, but I am grateful for having studied composition when I was growing up. It was an opportunity to look at things from the composer’s point of view, a chance to feel how different musical elements ‘behave’. 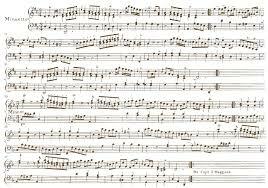 Perhaps having to face an empty page helps you appreciate ever more the greatness of a Mozart concerto. But I do believe that music theory is really not theoretical at all. Harmony and counterpoint play vital roles in what excites us about music and they shouldn’t be regarded as dry sets of rules. For example, Brahms’ music can sometimes exhibit this incredible power (take the beginning of his D Minor Piano Concerto, for example) because Brahms was a such master in building up the greatest tension while delaying harmonic resolution. So studying the way he works doesn’t take from the experience, it makes you admire it even more. MANOFF: Considering the relationship between technically difficult music and interpretation: Should one have a musical interpretation before allowing the hands to “learn” notes ? WOSNER:I generally tend to think that in great pieces, particularly by composers who were also pianists, what we call ‘technical’ and ‘musical’ is really part of the same expressive content and the music. In other words, when a passage is awkward, it’s usually meant to convey a certain kind of tension in the music. Perhaps the best example for that is in Brahms, with the famous octave trills in the D Minor Concerto that are notoriously awkward. Brahms himself talks about “the particular appeal that is always connected with difficulty”, referring in a letter to Clara Schumann to Op. 116 No. 5, where is deliberately distributes the chords in a manner that forces to stretch your hands. But there are certainly examples to the contrary and Schubert first comes to mind. In many of his piano works, even (in fact, especially!) in passages that sound simple the writing is often extremely awkward, especially with regards to the voicing of chords in chordal passages. It can be very hard to control the balance of each chord in a way that would create the effect of an ensemble of voices with a very smooth legato. Passages like these (like the beginning of the B-flat Sonata D. 960) shouldn’t sound difficult but they are. So the trick is to judge when the music should sound difficult and when it shouldn’t. Perhaps the conclusion is the technical should dictate the interpretation only when it dictates the music itself. MANOFF: You write on your website about returning to Mozart Operas for “musical vitamins. ” Do you listen to opera on recordings as well as play from the score ? Which other operas or opera composers offer such vitamins for your health ? WOSNER:I listened to quite a lot of opera when I was growing up and I wish I had more time to listen more these days. I would state the obvious by saying that there are plenty of ‘musical vitamins’ to be found in Wagner and Verdi and Strauss, etc. I think Verdi really comes close to the great Mozart operas in Otello and Falstaff, in their purity and economy of means. I know that it may sound contradictory to call an Opera like Otello economical, with its grand choral scenes, but musically speaking it really is. Verdi many times achieves maximum dramatic effect with minimum of means, like the inimitable orchestration for the Willow Song in act IV which uses very few instruments, or the austere musical material when Otello creeps in at night to kill Desdemona. Verdi develops those few barren motives into the shocking climax so organically that it’s just amazing every time. MANOFF: I have seen and heard a number of life-changing musical events, after which my sense of music and my participation in music was changed at a deep level, often a level I can’t describe. One was Richter playing the Brahms Bb Concerto with Leinsdorf conducting the Chicago Orchestra. They recorded the performance in the next days, so the experience was and remains deepened. Have you had such experiences? If so, can you mention some of them and why they were important ? WOSNER:Yes. I have a very vivid memory of a Radu Lupu recital in Tel-Aviv. I think I must have been 15 or 16. I will never forget the end of the first movement of Schubert’s A Minor Sonata D. 845. It was like an earth-shattering event and I felt like I had just experienced levels in music deeper than I had ever imagined until then. It made me more aware of what playing the piano can mean. MANOFF: I understand that you will performing a Tchaikovsky Concerto in the next season. Can you mention other concertos on your radar– so to speak –works which you are already considering? WOSNER:There are so many that I still hope to play. Brahms 2nd, for example is perhaps at the top of the list right now. Others include the Ravel Left Hand Concerto, as well as the Ligeti Concerto, a real masterpiece which I’ve played years ago but hope to go back to soon. MANOFF: Might you discuss how you practice and how you balance immediate needs with future tasks. You are a musician with wide interests. Does that mindset ever interfere with your practice schedule ? What’s the balance ? WOSNER:That’s the hardest part. I guess there are two basic questions for a musician – what the music means and how to go about conveying it to others. The latter basically means finding how to practice certain things which is a lifelong process. One of the things I try to do in order to balance between immediate needs and long term goals is make sure that I work on the pieces I can learn from the most, pieces that are substantial in a way that when I have to practice them for the near future I also gain something for the long run. You always learn something about music and the piano when you work on a Beethoven Sonata, for example. But there is a flip side to it as well, which is knowing how not to commit to too many different things at once. In other words, it can be tempting to use different opportunities to learn more repertoire, but it is important to know how to not overextend yourself at any given moment. There’s so much good repertoire that sometimes it’s hard to say no. MANOFF: Let me ask a crazy question. Suppose that you had to build your musical world (starting now) from music composed after 1900. What would you make that world from — as a performer and listener ? WOSNER:The cornerstones would be pretty obvious: Mahler, Debussy, Schoenberg, Bartok, Janacek, Ravel, Stravinsky certain Strauss, certain Prokofiev. I feel a strong personal attachment to Mahler’s music, which I grew up listening to a lot. From Debussy’s music I think one can learn infinitely about nuances, whether it is of sound, of agogics, of the interpretation of a composer’s markings, and so on. Later on, Ligeti, as well as music by the Canadian composer Claude Vivier. Improvisation also plays a part. I don’t mean to count my own improvisation in the august company of these composers, but simply as an component of my own musical education that I feel has been very important to me. I used to improvise very often in certain styles and in free form with my teacher Andre Hajdu when I was growing up in Israel and still love doing it. MANOFF: I’ve heard you discuss the need for collaboration. Might you discuss future plans, pieces, yours that are in the works or in your imagination ? WOSNER:I always try to look for meaningful collaborations with others, simply because it’s always important for one’s artistic well-being to look for new sources of inspiration and new ideas. That is especially true when what you do usually confines you to solitary practice. Right now, my ‘dream’ project is to work with a choreographer on a joint interpretation for Schumann’s Carnaval. This piece has so many layers to it and such theatrical potential and I hope to have a chance for such a collaboration at some point in the near future.